Bollywood's newest face - Janhvi Kapoor has been a splash of fresh so far at her movie promotions, appearances and premiers. And obviously, we have been following the new starlet and her sartorial choices closely. While we have already decoded her makeup looks earlier, this time we are zooming in our beauty lens onto her hair game and we must say she is coming out to be a straight A beauty student with those chic braids of her's! 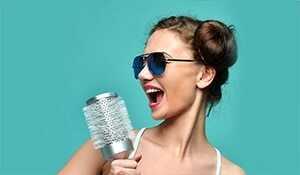 Who would have thought that this very gym friendly hairdo can be worn with an ethnic outfit with such panache! 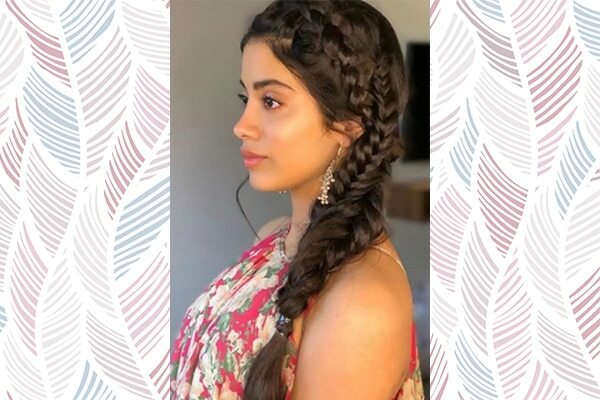 Janhvi wore a double Dutch braid - which is a version of the French braid where the strands move underneath, instead of going over the sections - for one of her movie promotion looks and we loved it. To re-create this hairstyle all you need to do is part your hair in the middle and divide it into two pigtails. Braid one part into a dutch braid and then continue to braid regularly. Then do the same for the other side and voila! In yet another very chic hairdo, Janhvi decided to flaunt her locks with soft curls and a sudden surprise of cornrow braid highlights. teamed with red lips and dewy makeup, this look easily won us over! 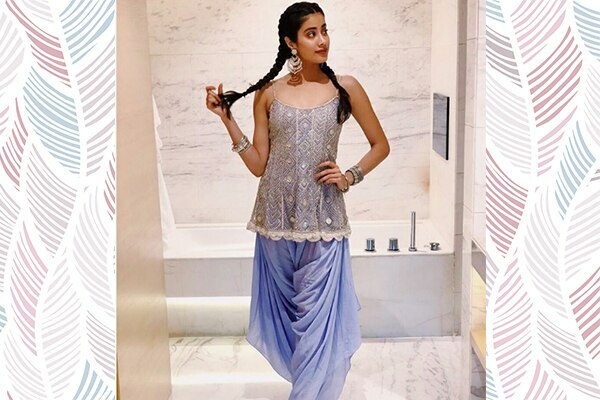 For this very ethnic yet chic look; Janhvi wore her hair in a side fish-tail braid. Perfect for this humid weather, the braid totally complemented her easy-breezy outfit.